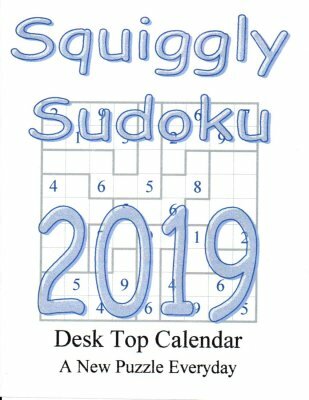 365 Squiggly Sudoku puzzles, answers and solution tips presented in a daily calendar. A new puzzle every day of the year. Purchase a digital copy for only $2.99. 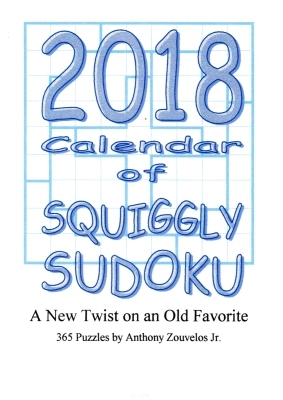 For only $2.99 you will get a 745 page calendar containing 365 puzzles with solutions. This is a file in PDF form. Print the puzzles you want or solve on your device.